I have been waiting to see what Reed Krakoff was going to do with his 2nd collection for his namesake company. His first collection was not received very well while he was in the process of opening several stores baring his name. As the President and Creative Director of Coach, Reed transformed the company. “It’s a very interesting time to re-embrace American design,” Mr. Krakoff says on his web site. “That ability to take something industrial and utilitarian and elevate it.” He did this with an eye towards strong architecture and luxe materials. The Boxer Bag was influenced by the wraps a boxer wears. It is one of his design hits. Mr Krakoff has a strong design aesthetic. Reed is also influenced by modern interior design. His stores are furnished with pieces from favorite designers along with his wife, Dalphine's influence. She is a very well respected interior designer. " I wanted to create an environment that was sensual and contemporary without feeling decorated". Definitely look for more posts on Reed and Dalphine Krakoff. They live a glamorous life, with glamorous friends in glamorous homes. 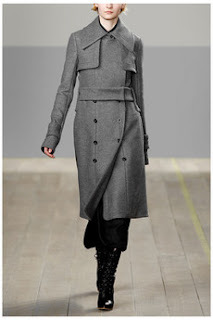 You have read this article Fashion Designer with the title Reed Krakoff in a new role. 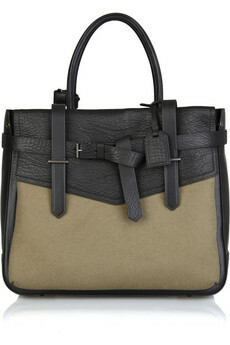 You can bookmark this page URL http://ourpicturewindow.blogspot.com/2010/10/reed-krakoff-in-new-role.html. Thanks! 2 comment for "Reed Krakoff in a new role"
do you've a listing? You better have one! Summer time goes by fast!